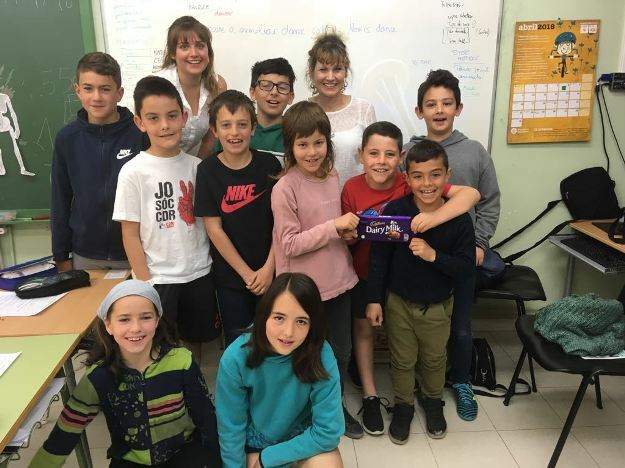 On Friday 20th April, Charlotte´s mum came to the school and we interviewed her. Charlotte´s mum is called Joules. She is 50 years old and she was born in Woodbridge. She is a secretary and she lives in Tring. Her favourite football team is Tottenham Hotspurs and her favourite sports are badminton, golf, tennis and running. In her free time, she enjoys reading and she is part of three book clubs! She has lived through some historic moments, including when astronauts went to the moon and the first mobile phone. In the UK, she has visited the Loch Ness and Buckingham Palace. In the UK, we do not sing Caramelles, but we have a similar dance called Morris Dancing.